250 pages | 56 B/W Illus. The school years are crucial, formative years and students should feel safe. 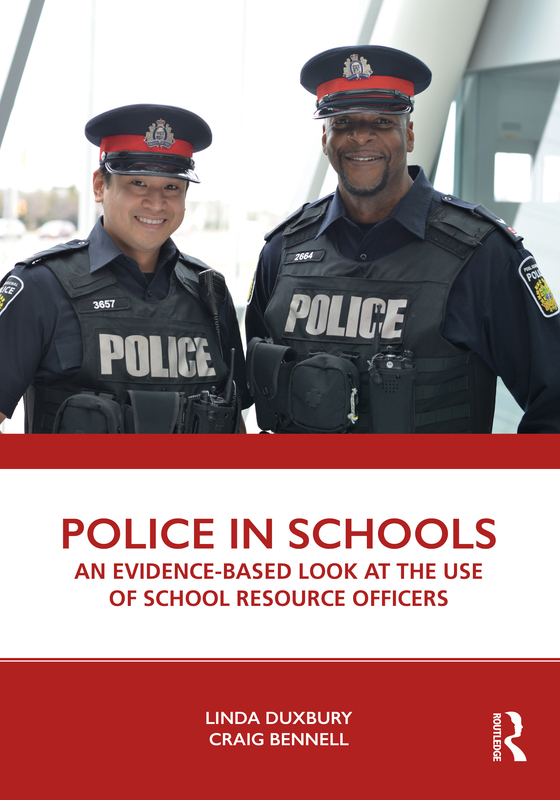 The research of Dr. Duxbury and Dr. Bennell demonstrates that when police officers are dedicated to specific schools, they increase safety and security – through their presence or by providing a quick response to issues. The benefits of having officers dedicated to schools greatly outweigh the associated costs. As a result, this is an essential function for urban police agencies. Police services in Canada are constantly under pressure to do more with less, and the only way to effectively meet this significant challenge is to properly and rigorously evaluate the costs and benefits of innovative programs, such as school resource officers. It simply isn’t an option to keep doing things the way they’ve always been done, and from the perspective of a front-line police professional, I certainly appreciate the work that Dr. Duxbury and Dr. Bennell have put into this project. Discussions around the impact of specific police programs should always be evidence-based, and that can only happen when we have the kind of valuable data that is provided by this project.